Madal Bal Natural Tree Syrup is a natural product consisting of maple syrup mixed with the sap of various palm tree species. Although it is conceivable the syrup could be used for other things it is mainly purchased by people who are following the Maple Syrup Lemon Detox Diet. The Maple Syrup Lemon Detox Diet is technique that promises several health benefits, most notably weight loss and detoxification. As with any fasting method food is not allowed, but devotees of the Maple Syrup Lemon Detox Diet are permitted three things to help them through their periods without food—Madal Bal Natural Tree Syrup, lemons, and cayenne pepper. The Maple Syrup Lemon Detox Diet is just a modern name that has been applied to a not so modern dieting method. Back in the 1940s, when the diet first became popular, it was more commonly referred to as the Master Cleanse System. Although the diet never really went away, its popularity had dwindled considerably until the former Destiny’s Child singer Beyonce Knowles admitted the diet was responsible for the 1 ½ stone she lost in the two weeks prior to her commencing work on the movie Dreamgirls. Why Madal Bal Natural Tree Syrup? 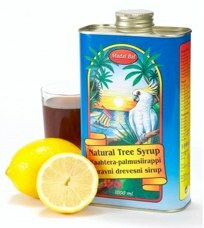 Each of the three substances used in the Maple Syrup Lemon Detox Diet offer their own distinctive benefits, but Madal Bal Natural Tree Syrup is probably of more crucial importance than the other ingredients because of its higher nutritional value and—above all—for its ability to provide dieters with a much-needed source of energy. Most forms of maple syrup contain low quantities of amino acids and minerals, and the syrup is also a source of antioxidants, but the Madal Bal Natural Tree Syrup formulation took five years to develop and its nutritional value is far superior to normal maple syrups. There have many celebrities associated with the Lemon Detox diet in its various forms with perhaps one of the known being Beyonce Knowles. There have also been several TV shows that have featured the diet (Madal Bal) with the UK airing a program called the ‘TV Diet Doctor’, with Dr Anu Bhatia. The detox drink is made by combining two (20ml) tablespoons of Madal Bal Natural Tree Syrup with an equal amount of fresh lemon juice. A pinch of cayenne pepper is then added to the mix. Some dieters use ginger as a substitute for cayenne, and claim it tastes better, but cayenne possesses powerful fat burning abilities so the original mix is probably the superior version. The mixture can be drunk as and when required, but six to nine glasses a day is generally considered to the optimum amount. There’s no getting away from it, fasting is hard on the body. Madal Bal Natural Tree Syrup is designed to ease the process and help see dieters through until they begin to eat normally again. The large amount of five star reviews it has received suggests it performs its function very well. People have been topping their pancakes with maple syrup for years and although its natural sweetness may have set a few teeth aching from time to time, its use has never resulted in any negative issues. Madal Bal Natural Tree Syrup is just an extra nutritious version of the old favorite so its use is unlikely to result in side effects. Fasting, on the other hand, may make some dieters feel unwell. It is important that potential fasters bear this in mind. Madal Bal Natural Tree Syrup is not intended to be used as a meal replacement, it was designed to act as crutch for dieters to lean on during their periods of life without food; overall customer feedback suggests it performs this function very well. Madal Bal is not for everyone – we recommend several products based on actual feedbacl we get. 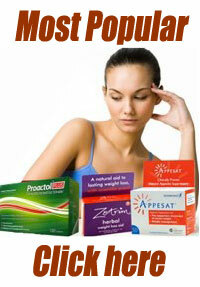 For this reason we position products such as Phen375, Garcinia Extra, Raspberry Ketone Plus and Proactol very highly. All are formulated from natural ingredients and can be purchased without prescription direct from the manufacturer cutting out the cost of the middle man.